Urban Decay Naked Flushed is a new three-in-one palette in the same style and look of all the goodies in the Naked line. 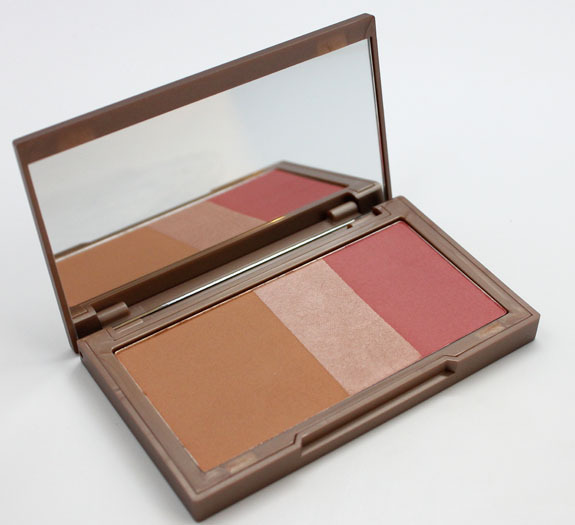 This little palette features a bronzer, highlighter and blush, as well as a large mirror inside. The products are all right next to each other, no barrier in-between. That means you can easily blend them together, OR could mean they get muddled with use…That remains to be seen for me. The bronzer is a medium satin bronze shade. Very soft to the touch. It was a little more sheer than I expected, which is good for me, because me and bronzer aren’t really friends…it scares me! The highlighter is a light pink color, very soft feel, and good pigmentation. Overall: This may be a really useful palette for many people. I personally like that the bronzer is on the lighter more sheer side. 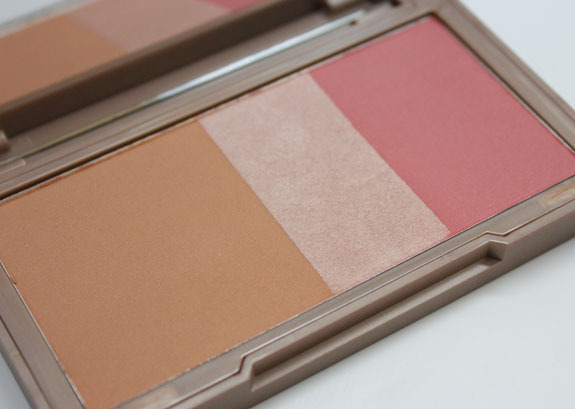 The highlighter and blush shades are nice, and just the kind I gravitate towards. This makes a really good little palette for traveling with since it is so small and light. Availability: Online now or in stores February 1st. Pricing: $30.00 for 0.49 oz. 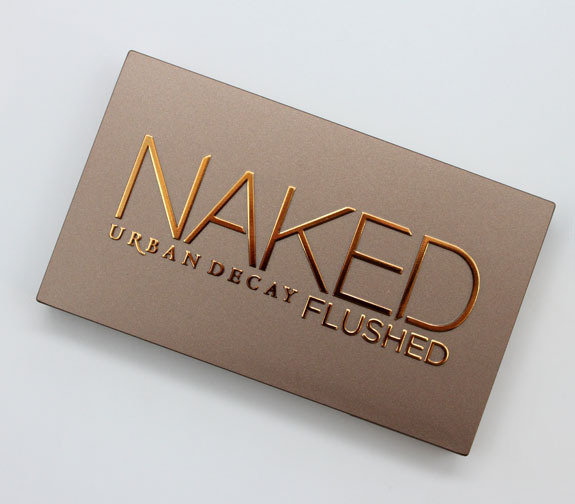 What do you think about Naked Flushed? Would this be something you would wear? Note: Urban Decay is cruelty free. 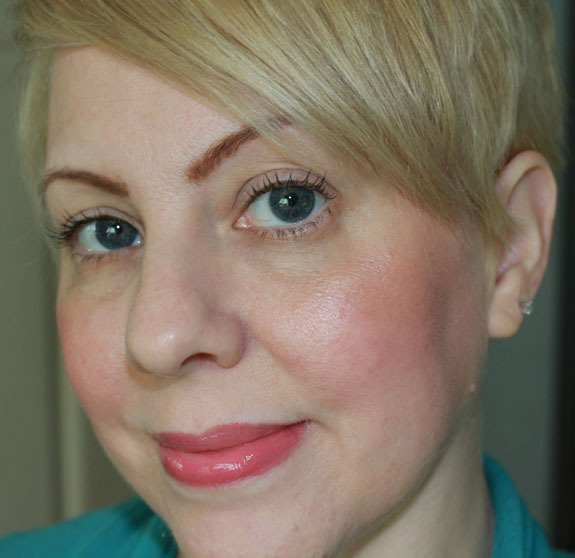 Benefit ChaCha Tint on HSN Today Only! I am over Urban Decay as a whole after this NAKED thing. Rikki´s last post…Weekly video roundup. Looks like a very beautiful palette. I don’t use any of these from any company, but I think this UD pallet would be great to start. I love the way the blush and highlighter look on you. I’m a little scared of bronzed myself as I have fairly pale skin as well, but maybe I’ll try it one of these days! I agree I’m a fan of your reviews. I like a bronzer on the lighter side, it makes me feel like I can control how dark it becomes. It looks pretty but I think I’ll be skipping this product, although I really like the Naked line from UD. The colors mesh well together though but I wonder if over time will the colors start to mix together. I’m a major UD fan but honestly I have shades just like this in my collection of bronzers/blushes/highlighters. I’ll pass until this goes on major sale :). Pass. 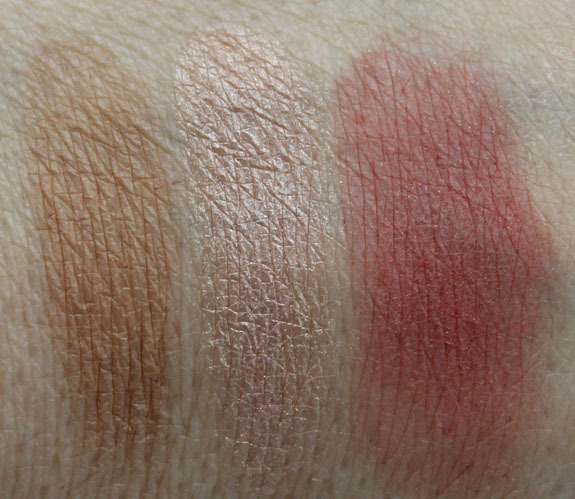 It’s odd that the blush is so highly pigmented yet the bronzer is sheer. Anyone who would prefer a sheer bronzer would probably want a lighter or slightly more sheer blush. I am a fan of Urban Decay though and surprised they didn’t do a blush palette–something like a NARS Danmari palette. I TOTALLY would have been all over that. I actually REALLY like this product, and will definitely buy it once I run out of bronzer. It would be really handy to just use one palette rather than 3 separate products. Becky´s last post…Video: My Boyfriend Does My Makeup!